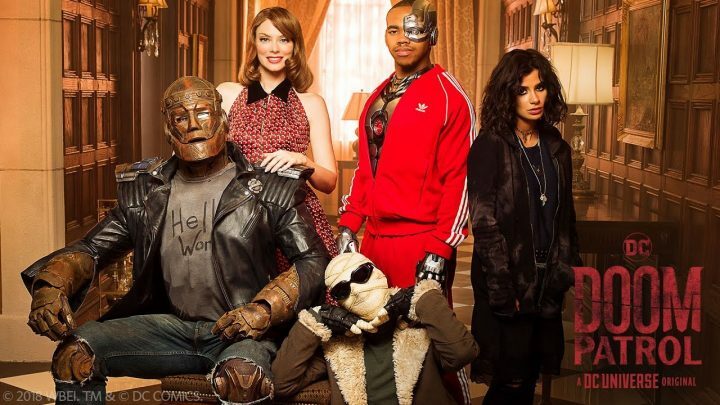 DC Universe has released a new trailer, poster and announced the premiere date for their upcoming Doom Patrol TV show. Watch ‘Doom Patrol’ online at DC Universe and Netflix in some territories. “The World’s Strangest Heroes!” That’s how the Doom Patrol has been billed since DC’s team of misfits first debuted over five decades ago. ‘Doom Patrol’ is based on DC characters originally written and drawn by Arnold Drake, Bob Haney and Bruno Premiani. 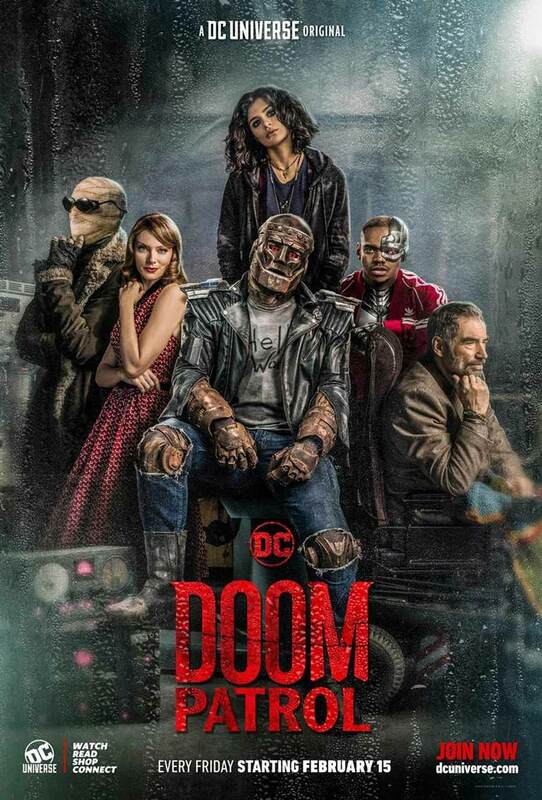 Doom Patrol reimagines one of DC’s most beloved team of misfit superheroes: Cyborg aka Victor Stone (Joivan Wade), Robotman aka Cliff Steele (Brendan Fraser), Negative Man aka Larry Trainor (Matt Bomer), Elasti-Woman aka Rita Farr (April Bowlby) and Crazy Jane (Diane Guerrero), led by modern-day mad scientist Niles Caulder aka The Chief (Timothy Dalton). The main villain is Mr. Nobody portrayed by Alan Tudyk. Each member of the Doom Patrol suffered a horrible accident that gave them superhuman abilities, but also left them scarred and disfigured. Traumatized and downtrodden, the team found their purpose through The Chief, coming together to investigate the weirdest phenomena in existence. Following the mysterious disappearance of The Chief these reluctant heroes will find themselves in a place they never expected to be, called to action by none other than Cyborg, who comes to them with a mission hard to refuse. Part support group, part Super Hero team, the Doom Patrol is a band of superpowered freaks who fight for a world that wants nothing to do with them. The live-action adaptation will premiere February 15 on DC Universe in the Doom Patrol’s first-ever screen series. New episodes will air weekly on the streaming platform.